The thin-k Longo is elegantly minimalist; it is a cleanly structured shape. 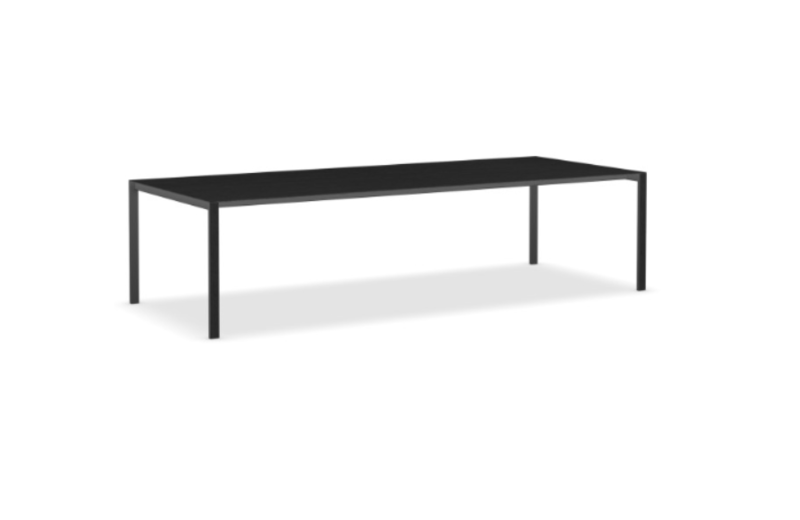 Being cleverly designed, this table needs space in a room to be fully appreciated. it is a table for sitting around, touching and admiring, perfectly proportioned. The challenge was to be able to get a table with a large extension while maintaining strength and flatness impeccable using one infinitesimal thickness. The result of the study and development with Kristalia is the presentation of a long table up to 3 meters. The table tops in aluminum may also have a veneer of real wood brushed effect; alternatively, the plan can be realized in painted glass, polished or matt.